Warner Bros. has ushered its upcoming espionage thriller The Man From U.N.C.L.E. into the spotlight ahead of its worldwide release next month, after the studio today unveiled a fresh batch of images showcasing Guy Ritchie’s classy affair. Based on the ’60s television series of the same name, Ritchie’s upcoming actioner will take place during the height of the cold war, when tensions between America and the USSR are teetering on the end of a global catastrophe. With no other option to turn to, The Man From U.N.C.L.E. 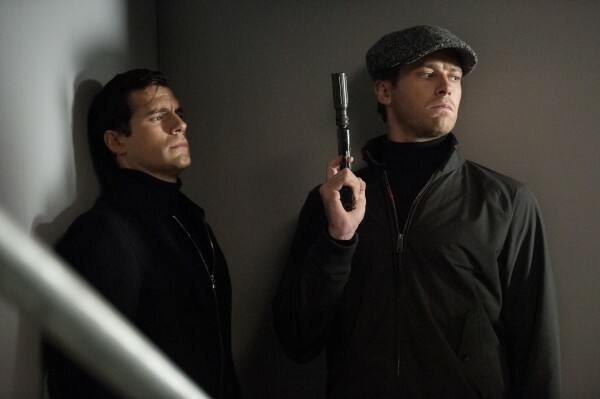 will see Henry Cavill and Armie Hammer’s protagonists – Napoleon Solo and Illya Kuryakin, respectively – begrudgingly team up in order to foil a potential nuclear threat. Ex Machina‘s Alicia Vikander will play an ally to both agents, who must convince the pair that they now face a common enemy in Elizabeth Debicki’s lead villain. The Great Gatsby starlet stars as the head of a dark and dangerous criminal organization, and you can check out some snaps of her and the film’s other actors – namely Hugh Grant and Jared Harris – in the gallery above. After wowing audiences with a stylish, hardboiled take on Sherlock Holmes, we’re excited to see how Guy Ritchie’s The Man From U.N.C.L.E. pans out. With a star-studded cast and a playful tone, the British director is right at home for Warner’s upcoming adaptation, which opens in theaters on August 14.